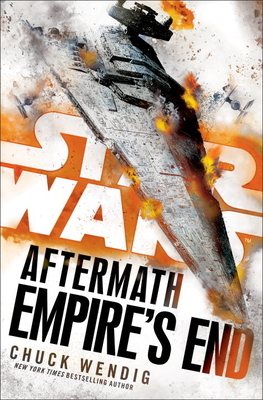 Empire's End: Aftermath (Star Wars) (Star Wars: The Aftermath Trilogy #3) (Hardcover) | Let's Play Books! Pre-order by 2/8 and receive a discount of 20% off - discount applied from shop after checkout. Chuck Wendig is a novelist, screenwriter, and game designer. He’s the author of many novels, including Star Wars: Aftermath, Star Wars: Aftermath: Life Debt, Blackbirds, Atlanta Burns, Zer0es, and the YA Heartland series. He is co-writer of the short film Pandemic and the Emmy-nominated digital narrative Collapsus. He currently lives in the forests of Pennsyltucky with his wife, son, and red dog.